Former Prime Minister Tun Dr Mahathir Mohamad is bemoaning the fact that Putrajaya and corporations did not help organisers of the Red Bull Air Race. 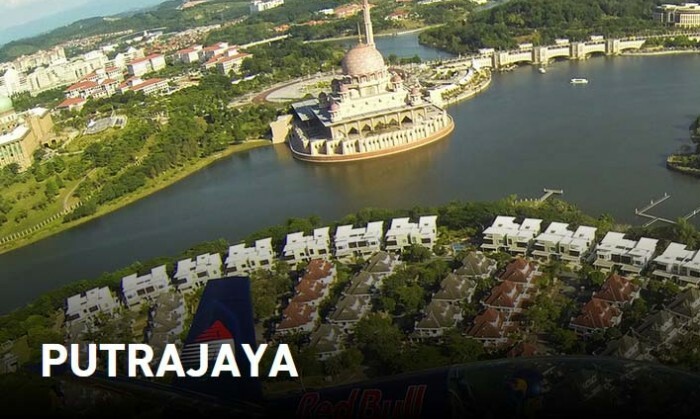 Malaysia hosted the Red Bull Air Race World Championship Putrajaya 2014 for the first time this year on 17 and 18 May. “There was a time when Malaysia was unknown to the rest of the world. When Malaysians went abroad and people ask where they came from, the reaction to their reply that they were from Malaysia, almost always evoke the comment, ‘Where is that?’” said Mahathir. But today 24 million tourists visit Malaysia in one year, he added. And today 24 million tourists visit Malaysia in one year. This was the result of an active effort to make Malaysia known. Mahathir compared it to the time the country spent RM 280 million to build the Sepang F1 race-track. These events, the F1 race, the Tour de Langkawi bicycle race, LIMA and a host of other events earn the nation a lot of money, far more than the cost of holding this events, added Mahathir. “That is why I am saddened when the Government did not help out the organisers of the recently held Red Bull Air Race in Putrajaya. This race is held all over the world. Millions watch this race. The majority would be locals but many loyal followers travel to watch the race. The advertising value is very high, yet the cost of holding it is low.” Read the full blog post here. The Serviceplan Group broadens its presence in China by opening its second office in Shanghai and acquiring the majority of digita..